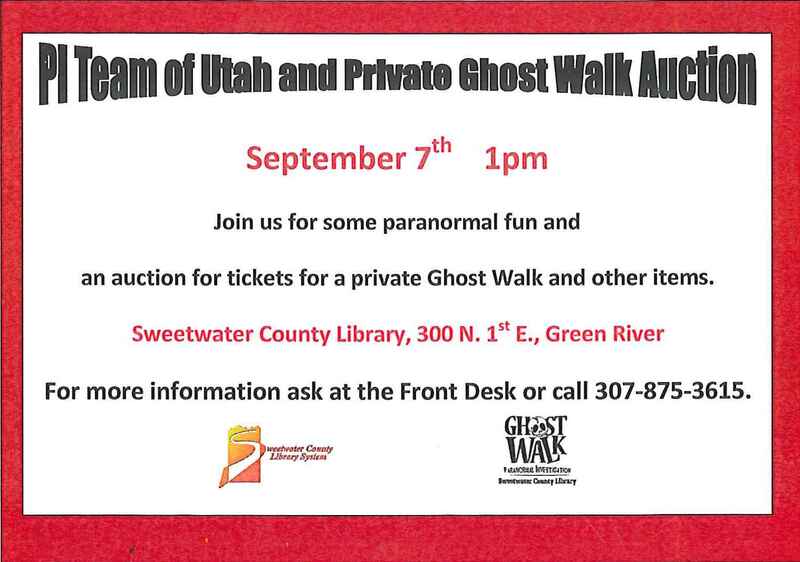 As for the Sweetwater County Library it is assumed our ghosts/spirits/whatever are due to the fact the library now sits on the site of the old city cemetery. We do have a few unusual sightings however. From time to time an apparition or two will be seem that is not of the time period that we would expect. These we have been given a possible theory on. Some time ago a person claiming to be a medium stated that we may be a portal where spirits might be able to come and go. This is unsubstantiated. We may never know for sure. According to the website Britannica.com (http://www.britannica.com/blogs/2008/10/library-ghosts-western-us/) there are many haunted libraries in the West. Chowchilla, Madera County Library, Chowchilla Branch. This new branch stands on the site of a bowling alley that burned down when its kitchen caught fire. The circulation area lies on the approximate position of the kitchen. Some say a cook who perished in the blaze can be seen in a flash of flame. Los Angeles Public Library, Cypress Park Branch. Ghost sightings have been reported since the library opened in 1924. The old fireplace, the men’s room, and the occult section seem to be the centers for cold spots and whispers. Denver Public Library. Staff say there is a presence in the basement that shoves people. Billings, Parmly Billings Library. Acquisitions Librarian Karen Stevens has written a book about Montana ghosts, Haunted Montana (Riverbend, 2007), in which she devotes an entire chapter to the library’s various haunts that she has investigated: the dark-haired woman in the basement; strange whistling and a male ghost wearing jeans and work boots on the second floor; a white shape that moves outside the windows on the fifth floor; and odd movements in the book stacks of the Montana Room. Construction crews in the fall of 2005 reported numerous paranormal incidents. Snohomish Carnegie Building. Catharine McMurchy, library director from 1923 to 1939, died in 1956 and her ghost could be seen or heard walking in the basement of this 1910 Carnegie before the library moved to modern quarters in 2003. In 1991, Children’s Librarian Debbie Young was taking a break in the staff room when she saw an older woman walk down the stairs from a storage area and exit the room. For a while the library had a ghostcam to try to catch her appearances, the last of which may have occurred the night of November 9, 2002, according to the Everett Herald of January 24, 2003 (although it could have been a janitorial service worker). The building now houses a few city offices, with the Arts of Snohomish Gallery in the annex. Byron, Rocky Mountain High School. In the 1950s, School Superintendent Harold Hopkinson was startled one night by footsteps walking down the hall; then he heard the library door open and close twice. “As I stood there looking,” Hopkinson remembered, “those footsteps went right past me and there was no one there. I heard them continue down the stairs to the front door, which I heard opening. . . . I didn’t dream it. There really was something walking on that old floor, which used to creak in a certain way.” He said his predecessor refused to go to that part of the building after dark, and so did he for some time afterwards. The custodial staff agrees that something is amiss. Eddie Davis, who was a maintenance man at the high school for 13 years, heard a blood-curdling scream coming from the girl’s restroom late one night in 1989. “It set my hair on end,” he said. But when he cautiously went inside, there was no one there. Another time, Davis’s wife, also a custodian, was retrieving some materials from the second floor when she saw a small, “smoky-looking something” in the hall. “It stunk to high heaven,” she said. “I got the feeling that thing was telling me to jump out the window. I couldn’t move; I couldn’t get to the door. But finally I took off and ran. I wouldn’t want that to happen to me again,” she whispered. Green River, Sweetwater County Library. Lights have gone off and on mysteriously ever since the library opened in 1980. Flapping sounds reverberate through the building at night. Former Director Patricia LeFaivre said that her staff has seen dots of light dancing on the walls inside the closed art gallery room in such a way that ruled out an external light source like car headlights. Back when the library had electric typewriters instead of computers, at least two of the machines were seen to type on their own. There was no paper loaded at the time, so if these were messages, they were lost. The staff experimented by leaving paper in the typewriters overnight, but no phantom typing occurred. The most bizarre event occurred some years ago when the interlibrary loan librarian turned away briefly from her computer—it was a dedicated Geac terminal—and when she looked back she saw her name spelled out on the screen. “I don’t think the system could have done that itself,” LeFaivre explained. “It had no word-processing capabilities, and at that time we didn’t have email. Her name appeared in quite large letters . . . with nothing else on the screen.” Since 1993, the staff has kept a record of all odd goings-on in a Ghost Log. The library was built on top of a cemetery dating from the 1860s. Most of the graves, primarily those of Asian railroad workers, were moved in the 1920s, but a coffin turned up as recently as 1985. Paranormal activity most often takes place when maintenance crews are working on the building or the grounds. LeFaivre added, “What’s interesting is that when we finally accepted the ghost’s existence, it seemed to quiet down—like it just wanted to be recognized.” The staff lounge often causes people to become sick. In 2005, both the Southwest Paranormal Investigation Society and the Colorado chapter of the American Association of Paranormal Investigators obtained odd audio recordings and strange images on film. In 2008, the library launched a ghost blog. I couldn’t resist posting the Green River posting from their site. Don’t forget tickets for the September 21 Ghost Walks go on sale Tuesday September 3rd at 9am. Tickets usually sell out very quickly, so if you are interested in attending be sure to stop by or call first thing that morning. Tickets are $10 each. Tour times are: 8pm, 9:30pm, 11pm, &12:30am. Paranormal, What Does It Mean? If I had a nickel for every time someone asks what exactly is “paranormal”? 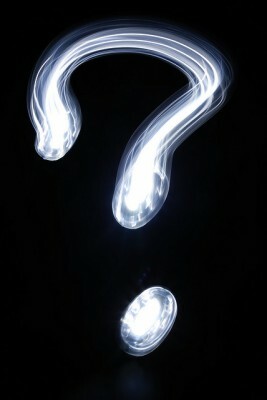 Most of the general public refers to paranormal as simply being the unexplained. Any time we have an experience that we can’t explain away we refer to it as paranormal. In truth the explanations are wide and varying. According to Wikipedia here is their take on what they list as paranormal. Wikipedia.org: Paranormal is a general term (coined c. 1915–1920) that designates experiences that lie outside “the range of normal experience or scientific explanation“ or that indicates phenomena understood to be outside of science’s current ability to explain or measure. Paranormal phenomena are distinct from certain hypothetical entities, such as dark matter and dark energy, only insofar as paranormal phenomena are inconsistent with the world as already understood through empirical observation coupled with scientific methodology. According to Wikipedia the paranormal includes the afterlife, angels, astral projection, auras, clairvoyance, close encounters, cold spots, conjuration, cryptid, cryptozoology, demons, demonic possession, demonology, ectoplasm, electronic voice phenomenon or evp, exorcism, extrasensory perception, fear of ghosts, forteana, ghosts, ghost hunting, ghost stories, haunted houses, hypnosis, intelligent haunting, magic, medium ship, miracles, near-death experience, occult, Ouija, paranormal fiction, paranormal television, parapsychology, poltergeist, precognition, psychic, psychic readings, psychokineses, psychometry, reincarnation, remote viewing, residual haunting, shadow people, spirit photography, spirit possession, spirit world, spiritualism, stone tape, supernatural, superstition, telepathy, UFO, UFO sightings, ufology, urban legends, will-o-the-wisp. For each of us our culture, religion, and environment can make a huge difference in how we perceive the unexplained. Many back-woods cultures believe anything odd or unusual is paranormal. From a child born with an abnormality to seeing a shadow roaming ones property, anything different may be seen as paranormal. Many religions believe anything other than angels are always dark or evil. It is basically our own personal take that defines what is paranormal to us.